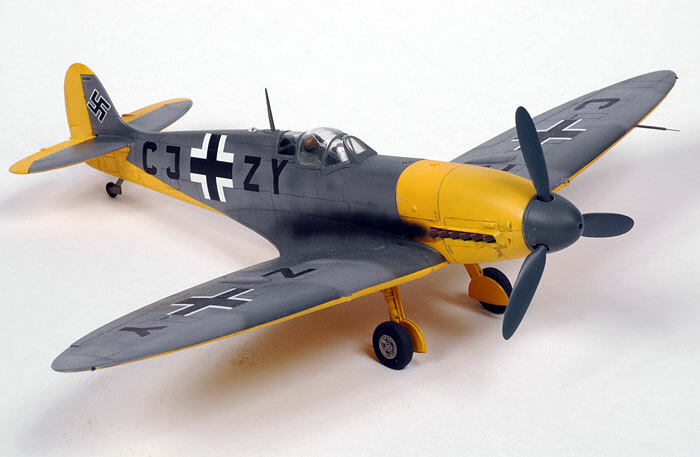 Here is Dallas March's 1/48 scale Spitfire DB 601. 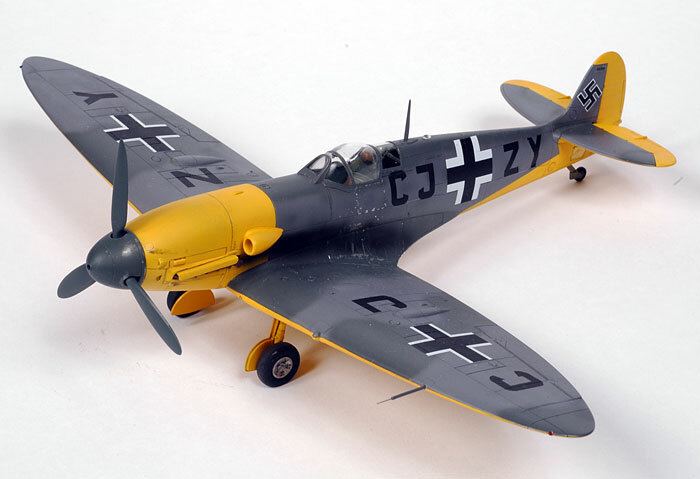 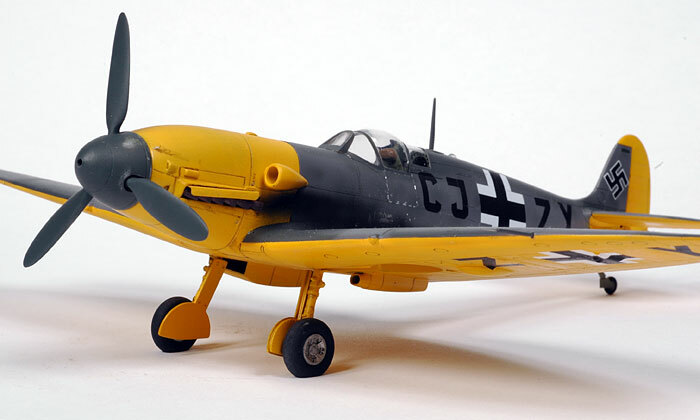 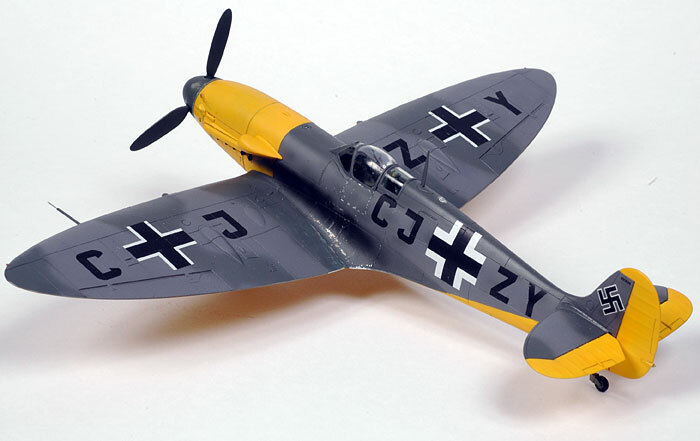 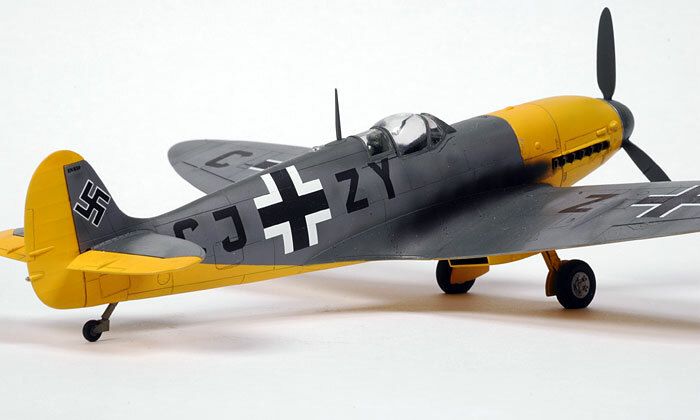 Dallas' model was based on Tamiya's 1/48 scale Spitfire and the resin Fusion Models conversion. 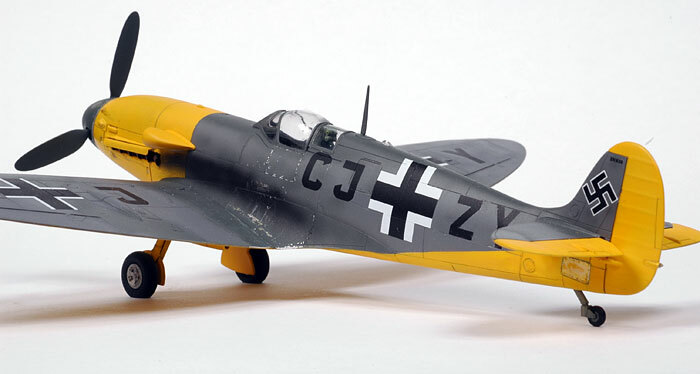 The model was photographed at the recent Australian Model Expo at the Sandown Convention Centre, Melbourne. 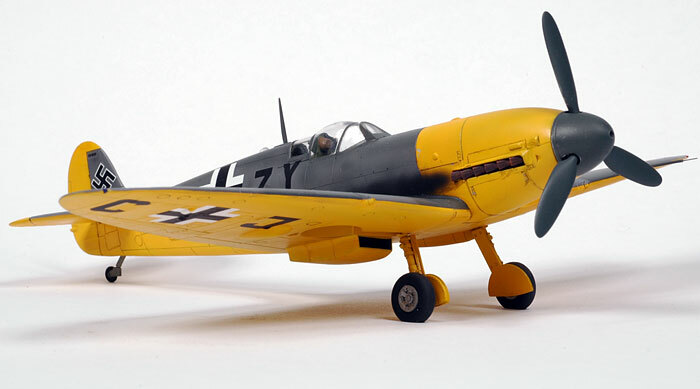 Photographs were taken using a Nikon D70 fitted with a 60mm Micro-Nikkor lens and two 500W studio flashes.